It is rare that an organization would have an opportunity to hear from a sitting governor, a Senate majority leader and an administrator with the Environmental Protection Agency (EPA), within the span of a week. 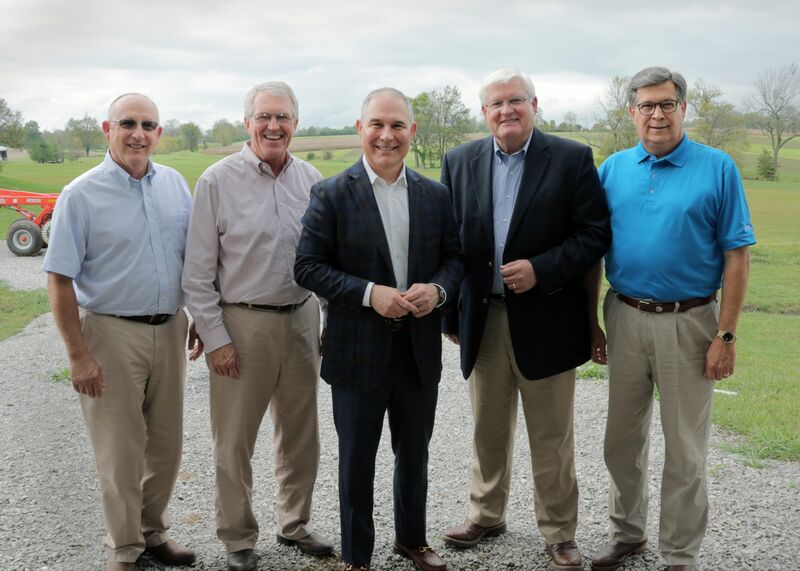 But KFB members experienced just that as Governor Matt Bevin paid a visit to the KFB Board during their most recent meeting. 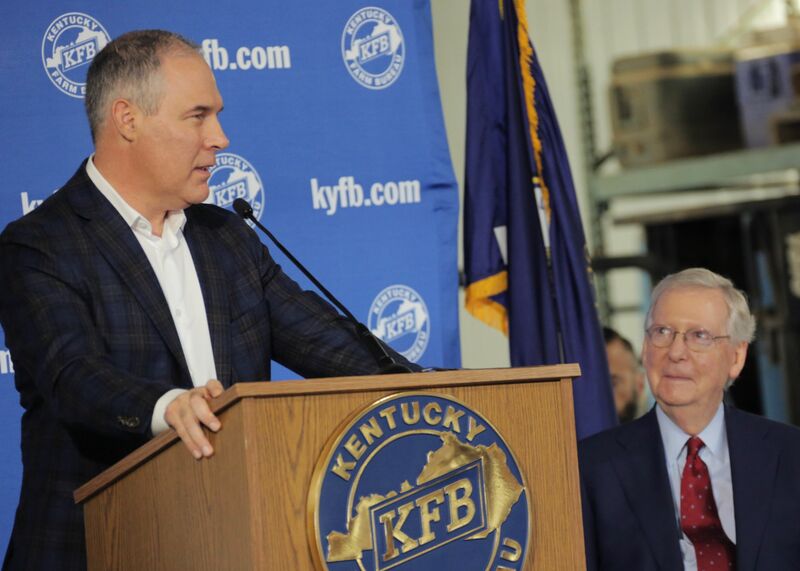 Three days later, more than 300 KFB members, local officials and legislators from across the state heard from Senator Mitch McConnell and EPA Administrator Scott Pruitt at a meeting in Bourbon County on Mahan Farms. 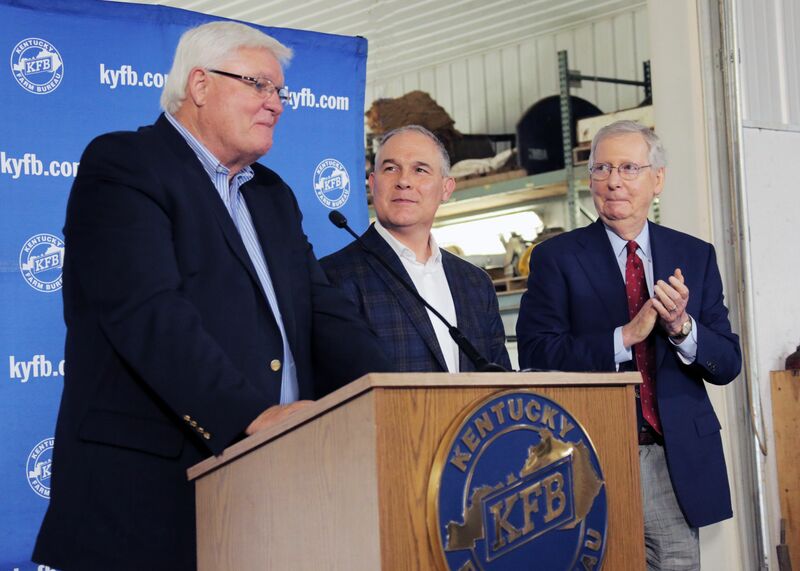 KFB President Mark Haney said such an occurrence is indicative of current leadership who want to hear from constituents, and an organization that is highly involved and recognized for its engagement with local, state and national leaders to discuss topics that affect their members’ farms, their families, and their rural way of life. Haney added that whether on the state or national levels, when Farm Bureau members show up, they are speaking with a collective voice on the issues that are affecting them. 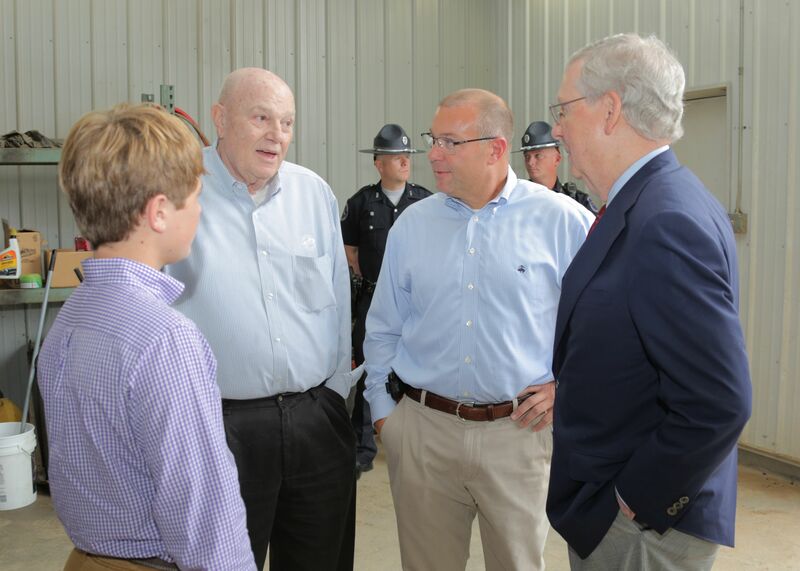 During his visit, McConnell first thanked the Mahan Family for allowing the meeting to take place on their farm and emphasized how Kentucky is still a place that is primarily made up of rural communities. 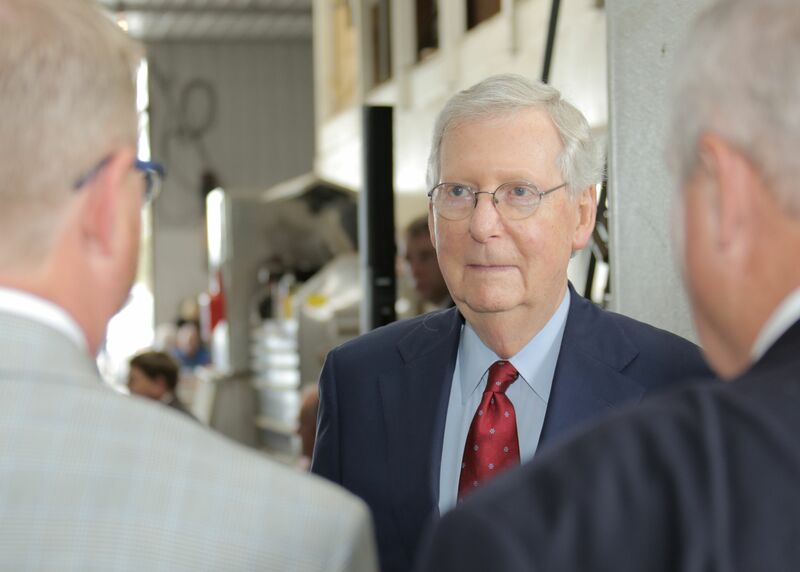 From an issues standpoint, McConnell noted that with coupling coming tax reform legislation and regulatory rationality, America can live up to its potential. Upon taking the podium, Pruitt said the agency is in the process of repealing the Waters of the U.S. (WOTUS) rule, which drew a large applause from the crowd. “You know that rule well. The 2015 (WOTUS) rule truly sent shock waves across this country. Let me tell you something, we are on the path to get rid of that,” he said. Pruitt added that with the repeal will also begin a process to redefine the rule and doing so in a way that will inform farmers of exactly what is contained in the regulation. In talking about the value of being a part of the meeting in Bourbon County, Pruitt said it was a blessing. During Governor Bevin’s visit with KFB Board members, he emphasized he is trying to move this state forward; to make it everything he knows it is. Bevin spoke on a number of subjects including the state’s pension fund but he relayed to board members more than anything, how great this state is and how much better it can become through progressive initiatives. The Governor also took questions from the board members during his stop at the KFB State Office Building. KFB Executive Vice President David Beck said it is this one-on-one interaction with members that not only allows the Governor and other officials an opportunity to hear about issues that face farm families but it demonstrates the organization’s ability to advocate effectively.